← Should We Never Ever Judge? Babies cry. You don’t have to feel bad about it. Either they’re trying to tell you something (they’re hungry, scared, etc.) or they’re frustrated or in pain. We should always do the best we can to respond to a crying baby’s needs. Yes, sometimes it’s overwhelming and yes sometimes you need to put a crying baby down for a moment. Yes, we live in a silly society where parents live isolated and don’t have enough help. Sometimes, you pick up a baby and they just keep crying. Do we always need to stop the crying? If a baby is crying for certain emotional reasons, I actually believe that they benefit tremendously when they are allowed to lovingly cry and vent their frustrations in someone’s arms. If a baby is crying, go to them as soon as you can. They can’t talk. They can barely move. They need you. If you can pick them up when they are crying, then do so. If you can’t pick them up, stay near and offer them reassuring words. If you want to pick them up, but need your hands for something else, consider buying a baby carrier or simply using a shawl to tie them to you. No matter why your baby is crying, there are many reasons why they are not. 1. Your baby is not crying because he or she is being naughty. 2. 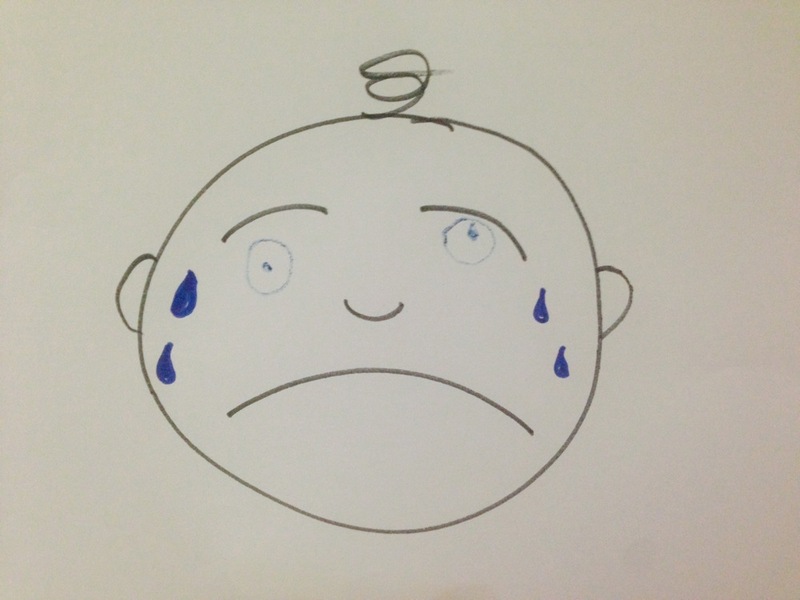 Your baby is not crying because he or she is being manipulative. 3. Your baby is not crying because he or she needs to learn to be independent. 4. Your baby is not crying ‘just’ because he or she needs to exercise his or her lungs (although they do get a good release of stress when they are held lovingly for emotional crying). 6. Your baby is not crying because they need to learn to be independent and to sooth themselves. 7. Your baby is not crying because just because he or she is a baby and that’s what babies do. 8. Your baby is not crying because they are trying to trick you. 9. Your baby is not crying because they only *want* your attention, they NEED your attention. 10. Your baby is not crying because they are being a burden. They are communicating to you in the only way they know how. Disclaimer: If you are feeling violent or distraught over your baby because they won’t stop crying, please put them down and get some help, either professional help or from the next nice person you see on the street. We shouldn’t have to do this alone. Also, if a baby is crying constantly, consider if they may be in pain or have had a very traumatic birth or lots of stress in the womb. Posted in Baby, crying and tagged do babies cry to manipulate their parents, do babies try to manipulate their parents, should a baby be allowed to cry, should you pick up a crying baby. Bookmark the permalink. Great post and I completely agree with everything you have written. My baby screams during every car journey. We live in the middle of nowhere and have no choice but to drive to get places. He is actually a very happy baby most of the time, but the moment he is put in the car seat he screams until the moment he’s taken out. I have tried everything to try and make things better, I have pulled over 10 times in one journey to try and soothe him, but it’s doesn’t make any difference. I take him out and he’s happy again. But the second he goes back in he’s screaming again. I hate leaving him to cry like this and I would never do it normally. It’s so awful I feel like he is strapped up in this chair in the back seat all alone and I can’t comfort him and he feels abandoned and scared. I don’t know what to do, people have said it’s a phase and it will pass, but I worry that I am doing lasting damage while it continues. Why is it that we know that leaving a baby to cry it out is not ok but you can make an exception in a car because that’s become a necessity and a norm in our society? Of course I could make the choice to stop driving until he is older, but that could be many months away and I would certainly go stir crazy staying at home until that happens and I have a 2 year old who needs to get out! At the weekends my partner drives and strap baby into a sling and hold him, which is dangerous I know but I can’t stand the screaming. I’ve even been tempted on occasions to drive with him strapped to me, but I know that is crazy! Oh yeah… the car thing. I think the difference between letting them cry it out and letting them cry in the car is that you are there, they can hear you voice, and maybe you can even occasionally reach back and touch him. Also, his sibling would be back there with him? It is true that it’s hard for very very small babies to know the difference between cry it out and crying in the car. How old is he? My son will cry when, which I believe, he gets bored. He is 14 weeks and I constantly hold him or he is playing with mobile, tummy time or a still chair with a rocker. I usually spend a few minutes encouraging him and talking to him about his actions and feelings and how I love him..then I might go do dishes or clean house or prepare a meaL while periodically talking with him. He is a good talker. When he cries, he is comforted being on my shoulder and up until recently I could walk around or pat his back l. However, now, I have to sh in his ear and while I thought it good,ok or alright when I began I’m beginning to feel it’s not ok and we need a.new way of bonding our connection. Looking at my face doesn’t help him when he is crying. Seems to be of no effect. Movement, sound and touch. HE responds to my praying over him and I’ve been saying his name a lot. However, find myself cradling him in my arms on my shoulder, rocking to soothe or get him to rest for naps. Unless he is calm happy and well fatigued on which case I must still hold him and walk around. Sitting idly on my couch or cuddling on the bed is a no-go for him. He needs movement. Aside from all that, which, I’d appreciate feedback on since I am a first time single mother, when he cries is he ok as long his needs are met and he is in my arms? Will his cortisol and stress hormones rise whole he’s crying in my arms for an/any extended period of time. I want to ensure his well being and his securit and trust relationship with me. If you’ve done everything you can, and he’s still crying (as long as you don’t suspect any medical concerns) then it’s ok to hold him and listen to his cries. When a baby cries alone, that is when the stress will happen. If he is in your loving arms, that’s totally different, as you are supporting his emotions. Hope that helps! Helps so much so! First time went very well. He’s been having an aversion to nursing while awake and always been a good eater. Hoping supporting him this new way will regain our awake nursings. He sure melted in my arms during the cry and it sure blessed me to not go to tiring extremes to soothe his little soul. I am back, again, my baby is 6 months and crying when I am about the (out small and open) apartment and have him to play in living room. Could it be he needs my undivided attention more? Seems he is rather emotional or experiencing his feelings different. He is also ,on and off teething and about to start crawling. He’s just a tad apprehensive to move his arms. I have always said he is good at expressing himself! I do talk to him about what we are doing and play with him and also leave him to play on his own. Just wondering whether the best way to respond is to pick him up every time? A baby that age should be attended to when he cries. He can’t get to you. When a child is older, it’s a little different because he is mobile. I would highly recommend reading “The Aware Baby” by Aletha Solter. I think that book would answer a lot of your questions.